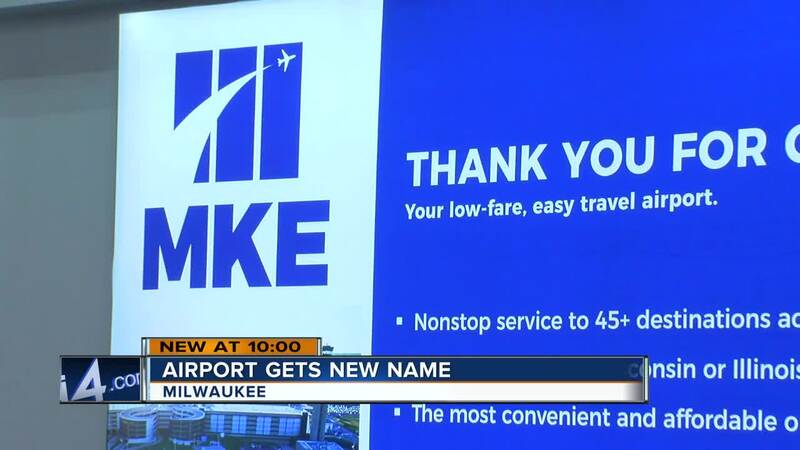 WISCONSIN — Milwaukee has undergone another name change to one of its venues. General Mitchell International Airport is now Milwaukee Mitchell International Airport. The airport spokesperson Harold Mester calls it a rebranding. He said most major airports across the country have the name of the major city it is in or near in it. But Milwaukee does not and it confuses some out-of-state travelers. While some in-staters say that's kind of how they refer to it. “When I use my GPS, I type Milwaukee airport anyways,” Lacy Christians said. Mester said the airport had its third 3rd best year in its history for passengers traveling in and out of Milwaukee. He hopes the rebranding helps more people recognize MKE as an option. But some people said getting rid of “General” in airport name dishonors the war hero, Gen. Billy Mitchell, who helped create the U.S. Air Force. “Its history is important, to me that’s what it is,” John Fortner said. The museum at the airport honoring General Mitchell is still staying. And it will take a year or even longer before you see all the signs around the airport and highway change.